This is a power-packed green smoothie to start the day or for an afternoon pick me up! Throw your frozen bananas and water into a blender, then gradually add the rest. If you are using a regular blender instead of a high powered one, you may need to add more water. Blend until smooth and creamy. 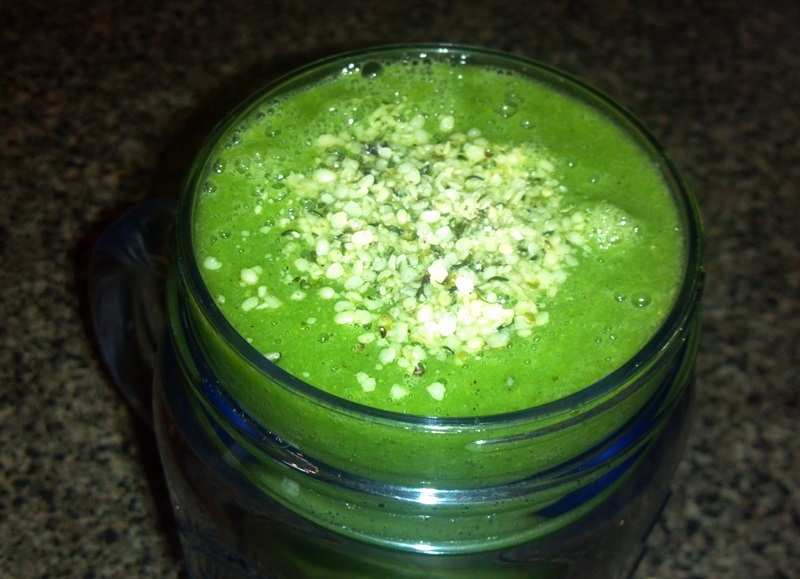 Top with hemp seeds, and drink up! Quinoa Stuffed Peppers with Walnut Basil Pesto!